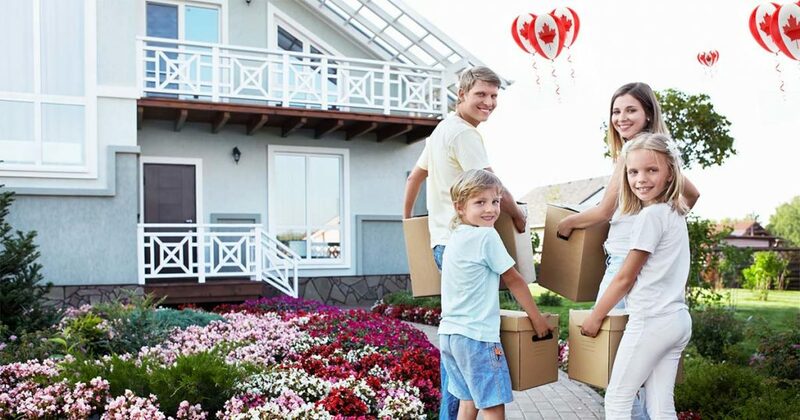 July 1, Moving Day in Montreal and Quebec, is once again approaching….It is very important for you to prepare and know all your best options to ensure you make it as stress-free as possible. Every year, thousands of residents changing apartments have to move around this time. Moving is always challenging, even more so when hundreds of other people are doing the same thing, clogging the streets with moving vans, and delaying traffic for hours on end. Whether it is your first time to move into a new apartment or a new home, you can really benefit from proven moving tips we have outlined below. We may be celebrating Canada Day on July 1. But for more than 100,000 people, it is time to move again. The unique tradition of moving every July 1st is an annual spectacle as apartment leases end or begin. How do you plan to move this year? Would you like to stay sane by getting help from professional movers? Contrary to popular belief, there are many professional movers in Montreal and Quebec offering very affordable and flexible moving services that suit all kinds of budgets. You can weigh your options by knowing the cost of your move this early. Keep in mind that most moving companies are fully booked during peak moving dates. It is best to start looking for your mover now and compare prices to save on time and money. Fill-out our short online form below and receive very competitive quotes from reputable and reliable movers near you. In case you are moving to Montreal from other parts of the country, the city has a pit-bull ban effective since October 2016. The law forbids Montreal residents from owning dog breeds such as American Staffordshire terriers, pit bulls terriers, Staffordshire bull terriers, or any mix of those breeds. Dog breeds that also demonstate similar qualities are also not allowed into the city. It is important to start looking for a new home for your pet early on. Moving companies in Montreal are all too familiar of the mayhem every July 1st. They know how to schedule your move in such a way as to minimize delays, best routes to take, what to avoid, and anticipate potential problems after considering your point or origin and destination. A good moving company will always make an in-home inspection to assess the size of your belongings or ascertain your exact needs, based on your inventory. Your chosen movers will provide you with the right-sized moving truck, adequate number of movers, moving equipment necessary, in order to execute your relocation efficiently and in the least possible amount of time and stress. You can customize your move to select only the moving service you require. You can also get a full-service, turn-key moving package. These services are available for local moving or long distance moving. Please refer to our guide on the cost of hiring movers and moving companies in Canada to know how moving charges are computed. As of 2013, around 38% of Montrealers owned their homes, making the vast majority renters. An estimated 700,000 households in Quebec moved in 2009 alone, from which 225,000 were in the Island of Montreal. This melee makes Moving Day particularly insane. Add to the chaos the often narrow staircases that are tricky for carrying up and down heavy appliances, and the lack of parking, non-professionals can find the whole moving activity quite difficult. Are you really saving money from a self-move? The truth is, most people who choose to do a self-move do so to save money. They have heard many say how moving companies charge unreasonable costs and they find DIY moving truck prices for $20. The self-drive moving trucks sound so cheap and they let themselves believe, “this is easy, I can get it done with help from my brother or buddy”. And most importantly, the cost of your time and labor. Can you really carry your Plasma TVs, sofa, dining set, beds, washing machine, etc. by yourself? Movers can definitely finish the job in half the time or less than you can. What is more, good movers can get the job done without damage to your belongings. According to data from Montreal Gazette published in 2016, the average cost of a rental self-drive truck (15-ft from U-Haul) is $180 for 6 hours, without the mileage charges. You need lots of luck to find a U-Haul truck to move on July 1st. Many people find themselves moving using their own cars, going back and forth between two points, many, many times. It is best to compare moving quotes to get a clear idea of how much you will spend on your move. Compare moving companies and their prices using our free quotes from reputable movers in your area. Take 2 minutes to fill-out our online request form to connect with leading movers and moving companies in Quebec. Do you have moving insurance? Many of the those who brave Moving Day on their own sans professional movers forget one important thing: moving insurance. If you are moving just personal items in a few boxes, it may not seem so necessary. But what if you have expensive appliances such as flat TVs, computers, expensive sofa, etc.? How much will they cost to replace if they are stolen, or damaged? Whether moving DIY or moving with professional movers, it is important to check on your moving insurance. If you have a renters’ insurance or homeowners’ insurance, you may be covered partially. However, it is best to check with your insurance company. Moving companies are required to provide moving insurance for moves for a minimum of $0.60 per pound. Depending on the moving company, some may offer higher insurance coverage which accounts for their higher rates. You always have the option to buy additional moving insurance to protect your goods during a move. The important thing is to ascertain who is liable in case of loss or damage. If you do a DIY move, without insurance, you could be in the hook for expenses due to broken or damaged items. Moving packages offer different size of trucks and number of movers. Movers also have areas of service. Full-service movers offer local and long distance moves (to any point in the country or abroad) while smaller ones specialize in specific areas only. Thus, it is critical to consider these things carefully when choosing a moving company. Your choice of mover will have a big impact on the cost of your move and will also affect your overall moving experience. What services do I need during my relocation? Does the company service the area where I am and where I am moving to? What is the company’s moving rate? What is the size of the truck and how many movers are included? How much is the insurance coverage included? In getting the answers to these questions, you can clearly compare moving rates and moving services to get the best value for your money and ensure a stress-free move. Some people are wary of hiring movers due to a bad experience. If you have dealt with a moving company in the past and didn’t do due diligence, you could have hired a fly-by-night operator that does not have any professional qualifications. There have been horror stories about movers. It is actually very easy to verify a moving company to ensure you are dealing only with a company that is reliable, insured, has a good reputation, and offers quality moving services at the right price. Professional movers are usually accredited with the Better Business Bureau or professional moving associations such as the Canadian Association of Movers, the American Moving and Storage Association, and local chambers of commerce. Long distance movers carry adequate moving insurance and are licensed to carry household goods across provincial lines. You can verify a moving company through the Canadian Association of Movers or the Better Business Bureau. You can also ask how long the mover has been in business. It is advisable to pick a moving company that has been in business for at least 5 years as movers can also come and go. To have peace of mind, check for the best moving companies using our free moving quotes. Our moving partners are all screened, qualified, and reputable for providing quality moving services in Quebec. One of the hardest things to accomplish in preparation for a move is packing and getting rid of things you don’t need anymore. Why is it important to go through your stuff and to discard items you have accumulated for a long time and kept in your attic? The cost of your move depends on 1 thing: the time it takes to complete your move. If you are making a long distance move, the weight of your goods will have a major impact on your overall moving cost. Is it worth it to move your old clothes, old sportsgear, boxes of discarded items, and unwanted furniture? For people who are down-sizing, moving can bring on a major headache because you have accumulated tons of boxes over the years, including baby clothes, old toys, and other personal mementos. Going through them takes a lot of time but it is something you need to do to avoid horrendous moving expenses. Do you have available space to put all your stuff? If you really can’t part with many of your items but don’t have enough space, you can also look into short-term or long term storage. Moving can get very expensive if you are not careful. Even with a DIY move, you can miscalculate your costs and end up paying more than you bargained for. In order to avoid over-spending on your move, you can compare multiple moving quotes from moving companies to find the best rates that suit your budget. We know it is important for you to save money on your move. 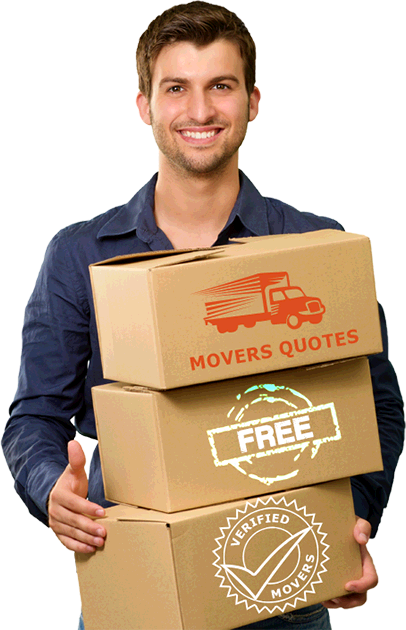 When you fill-out our online request form, you will receive 5 free quotes from movers in your area. Because they are competing with one another to get your business, they will endeavor to stay competitive in their rates and offer you their best service. You can ask them questions and look into what is important to you – price, service, reliability, experience, insurance, etc. You are under no obligation to hire a mover unless you are completely satisfied. You have nothing to lose and time is running out! Find the best moving company today for your relocation in Montreal or Quebec.